Powered by our advanced machine intelligence and Ethereum blockchain data sharing technology, Clozer® is building the next generation of sales tools designed just for you, the quota carrying sales pro. Request a Beta Invite today and start closing more business tomorrow. Clozer's SalesBot® natural language interface and sales optimized artificial intelligence technology make it easy to do the right thing fast. SalesBot allows you to easily update your data with a simple voice or text command, no more typing into complicated forms. 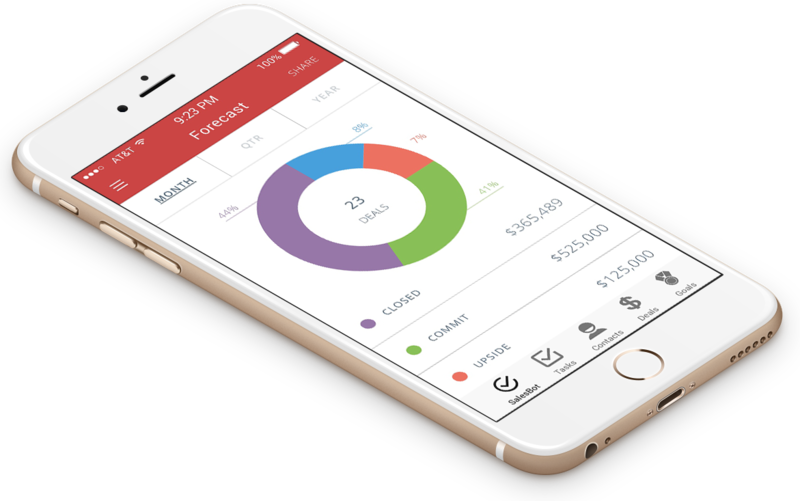 Our AI / machine intelligence system delivers real-time insights that help you focus on what you should do next to close your deals. You no longer have to rely just on your gut instincts on the best ways to advance your deals. Our system constantly gets smarter learning from your expertise and experiences, down vote a task priority and we'll re-calculate all task priorities and adjust our algorithms for the future. A typical sales rep only spends about 40% of their day actually selling and up to 20% of their time on non­-productive manual data updates to their CRM system. 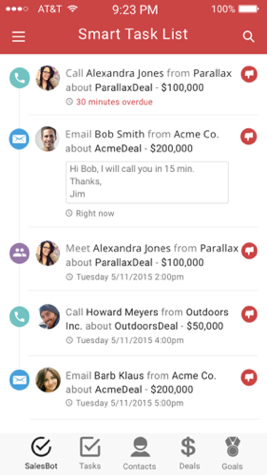 Clozer automates the logging of your tasks and events such as phone calls, emails, texts, and meetings. Our smart context sensitive menus and responses allow you to make one touch updates to deals, tasks, and events. Our sales optimized natural language parsing technology will search your incoming customer emails to automatically create new follow up tasks, create new contacts or update your existing contacts. 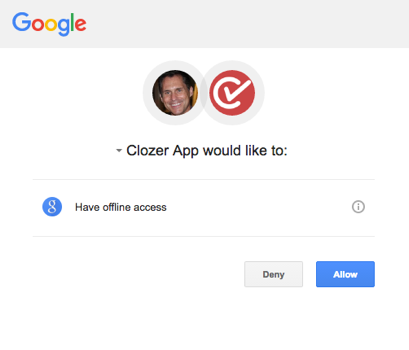 Connect your email account through Clozer or alternatively forward your email to our servers using your personal Clozer email address. Clozer's Ethereum block technology allows salespeople to share real-time sales data within and across companies in a secure and traceable transaction that opens up entire new ways of doing business. As a sales rep your primary goal is to meet your sales quota, however, it is not always obvious what are the key activities you should be doing to optimize your success. Clozer will automatically suggest key activities you should do, when to do them, and then track your progress while offering timely and fun motivational reminders so you stay on track to meet your goals and blow out your quota. 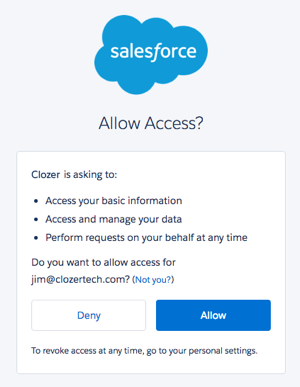 Sign in using your existing CRM login and allow Clozer to start syncing your data. Connect your email and calendar, optionally configure email forwarding to our servers. Get AI powered prioritized sales insights while earning access to more sales data. Clozer accelerates B2B sales with intelligent tools and open, decentralized data built on blockchain and AI. Headquartered in San Francisco, Clozer is founded by experienced Silicon Valley leaders and backed by leading technology investors. © 2019 Clozer Technologies Inc.